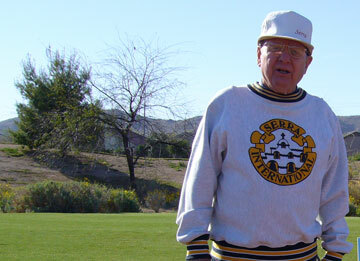 Bill Folz, Jr. was known as "Mr. Serra" in Arizona. He held many offices including Serra International board member, and hosted the Serra International Conference in Phoenix during the 1980s. Despite all of the honors. Bill remained a constant servant to promote vocations as a Serran. Bill's real passion for consecrated vocations within the Catholic Church was evident as he helped found several Serra Clubs. He was the president of the Phoenix Club and helped start the Serra Club of the East Valley in 2001. Bill could bring the resources together from Serra National and International to assist a new club. To pray daily for current and new vocations to religious life. To foster fellowship by affirming vocations to the ordained priesthood and vowed religious life in our community. Through Serran ministry we strengthen ou rmembers and our common Catholic faith. To encourage new candidates to the priesthood by providing funds to support the Diocesan Vocations Office. Serra International is named after Saint Junipero Serra, the noted Spanish missionary. Our purpose is to foster and promote vocations to the Catholic priesthood and religious life and to encourage its members to fulfill their own Christian vocations to service. Encouraging new candidates to the priesthood by providing funds to support the Diocesan Vocations Office. Providing Mass kits to newly ordained priests on the day of their ordination. Supporting and affirming existing religious vocations in our diocese. Remember, encouraging more religious vocations is everyone's responsibility and with your support of this event, the Serra Club can encourage and educate more young people to the diaconate, religious life, and priesthood. If you would like to get involved with Serra, please attend one of our meetings.